As an old fan of the Centre for Science and Environment (CSE), I deplore its campaign against genetically modified (GM) foods. The global anti-GM chorus flows from various prejudices, ranging from leftist hate of large corporations to RSS belief in the superiority of all things traditional Indian. This is pseudo-science, not the real thing. CSE has tested 65 food products in India likely to have GM ingredients, and found them in 32% of its samples. CSE says this endangers our health. That is an unscientific falsehood. Norman Borlaug, Nobel laureate and father of the Green Revolution, called GM crops a boon to humanity, blasting alarmists for bogus propaganda. Science writer Matt Ridley, author of the best-seller Genome, has long exposed the anti-GM campaign as unscientific. Mark Lynas, winner of the Royal Society Science Book Prize for Six Degrees, was once a green activist destroying GM crops. He later recanted and apologised for “demonising an important technological option”. Lynas said, “I’d assumed that GM would increase the use of chemicals. It turned out that pest-resistant cotton and maize needed less insecticide. “I’d assumed that GM benefited only the large companies. It turned out that billions of dollars of benefits went to farmers needing fewer inputs. “I’d assumed that no one wanted GM. Actually BT cotton was pirated into India and Roundup-Ready soybean in Brazil because farmers were so eager to use them. To feed a world population of 9.5 billion by 2050, Lynas said conventional technology would require massive acreage expansion, destroying forests and grasslands. But GM technology could produce enough food and raise farmer incomes from fewer acres, sparing the environment. Conventional cross-breeding was done within the same species. But GM technology allowed the insertion of genes of one species into another. 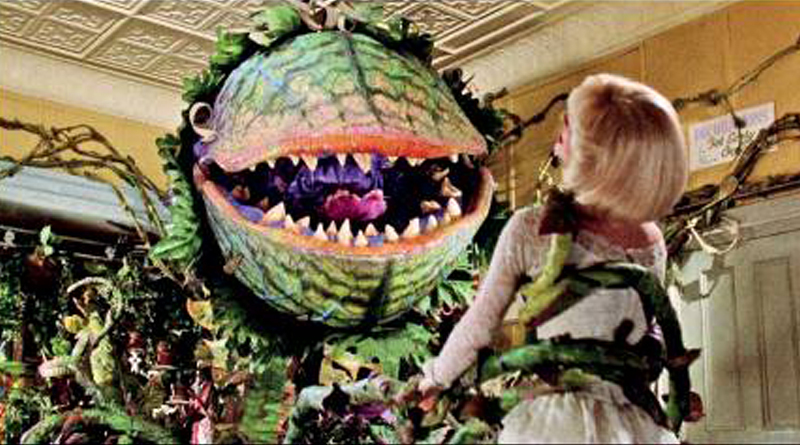 Green activists called this the dangerous creation of monster foods, alarming millions. But science tells us of a natural phenomenon called gene flow, which is spontaneous transmission of genes across species. This happens in viruses, plants, animals and even humans. We are all genetically modified. There are no unmodified species. Gene flow has for millennia created genetic mixtures everywhere. What GM scientists do in a lab is a tiny fraction of what nature has always done. These are hard scientific facts. Yet, activists perpetrate the old alarmist falsehoods, with great success. They have panicked consumers and politicians in many countries to treat GM foods as especially dangerous. All foods, including natural ones, have dangers. Milk, red meat, fats, peanuts and dozens of natural products cause serious diseases and kill those with allergies. Do we ban all these? Of course not. All foods should be tested, and where dangers are found, these should be advertised. Poisons should be banned. But there is no proven danger whatsoever of GM as a category. Lynas pithily says Americans have eaten three trillion GM meals with no proven ill effects. Millions of Indian tourists to the US are unaffected. That’s hard proof. In India, vanaspati has long been made from imported GM oils. GM cotton in India yields GM cottonseed oil, widely used in vanaspati and snacks. GM cottonseed has for decades been fed to animals, and become part of India’s dairy and meat supply. Has this ruined our health? No evidence at all. Absent evidence, activists demand ever more tests as delaying tactics. Such alarmism, says Lynas, has increased the time for US regulatory clearances from 3.7 years to five years, raising the cost of bringing a GM variety to market to a whopping $139 million. Only the biggest multinationals like Monsanto can stay in this game. Ironically, the activists have helped create monopoly for the company they hate most. CSE says, indignantly, that sundry rules and laws are flouted in producing foods with GM ingredients. But many such rules and laws are outcomes of unscientific scaremongering. The greens always opposed GM cotton, saying it would ruin farmers. Farmers found that GM cotton was fabulous while the activists were frauds. So, they planted pirated GM varieties with such success that the government had to change its rules. Farmers should stage more such GM revolts. Caveat: many environmental scares are fully justified and scientific. Activists have done fine work there. But not in the GM case. In my socialist youth, I ranted passionately about corporations breaking rules on permits and licences. I later recanted, realising that the licence-permit raj was based on false premises and terrible rules. Passionate greens should similarly recant on unscientific GM presumptions and laws.